Our mission is to create the world’s first Media company built from the ground up to be able to reach the ever elusive millennial demographic. a two pronged bottom up and top down approach to developing and acquiring technology platforms and companies that will allow us to reach this goal. talent direct relationships and acquiring best-of-breed companies within the digital media space, in order to execute optimized monetization of these assets. technology for creating, posting, managing and monitoring branded sharable content. and that its network has a larger market reach than the top 5 television networks combined! 20,000+ Influencers… with 500+ million Followers… with 200+ million Likes & Shares… produces anAggregate Reach of 2.9 billion. enlarge its market share through various acquisitions. It has shown that is has the unique ability to reach the Gen Y and Millennial demographic. generations to come that will veer away from traditional media. They do NOT watch television, and they do not trust brands and commercials. Their purchasing decisions are impacted by the individuals, friends, and celebrities that they follow on Social Media and YouTube. 4. Proven Track Record of 2+ Years In The Influencer Marketing Space. Celebrity Endorsements were added to Brands to increase the effectiveness of these traditional media outlets. Sponsored Social Media… Influencer Marketing, now sits atop the field! Television, Radio, Magazine and Newspaper advertising. Our Tracking & Reporting platform and quantifying systems enable clients to select suitable Influencers and to track campaigns in ways they have not been available before. SharkRank: Influencer Ranking System and Influencer Marketplace. Allows clients to select suitable Influencers for their Campaign utilizing Shark Rank's proprietary influencer-ranking algorithm. SharkScore: Campaign Level Reporting Engine. carrying the reporting across all social media outlets and the web. SharkPulse: Campaign Effectiveness Monitoring & Brand Sentiment Reporting. across all social media networks! It monitors brand sentiment across Social Media and the Web a first in influencer marketing. Ability to set up auto responders for Negative posts. Acts as an insurance policy for your brand allowing you to follow every conversation and respond. For more information on SharkReach, please visit the Company's website at http://www.SharkReach.com. 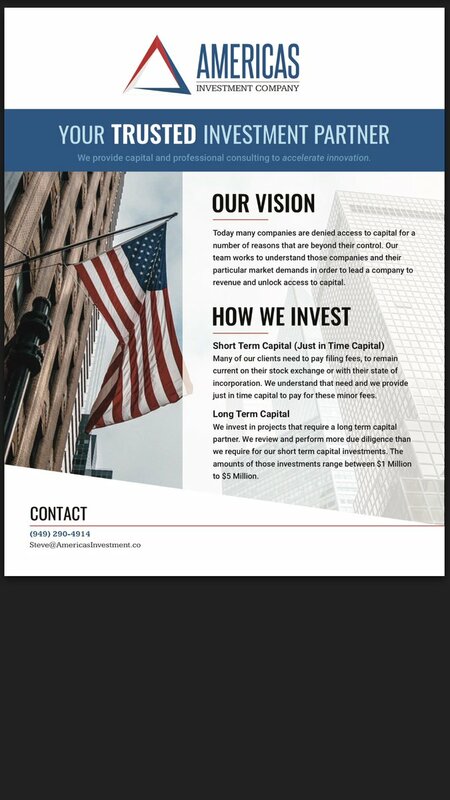 To be added to the SharkReach® investor email list, please email investor@sharkreach.com with SHRK in the subject line.